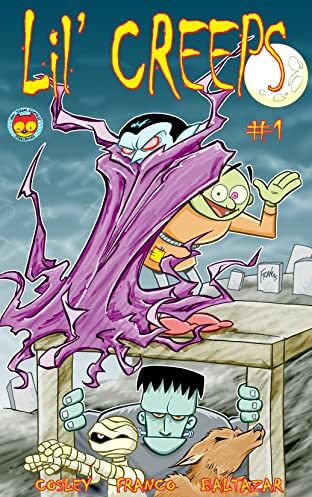 ™ and © 2006 Frano Aureliani, Art Baltazar, Jamie Cosley Do you miss the ghosts and witches from Harvey Comics? Do you like Patrick the Wolf Boy and The Grimm Reaper? If you answered yes to either of those questions, then Lil’ Creeps is for you. 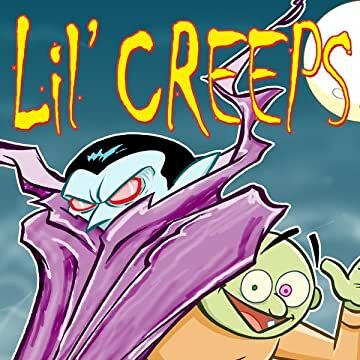 Filled with silly, all ages humor with cartoony versions of The Phantom of the Opera, The Creature From the Black Lagoon, Igor, Frankenstein’s Monster, Dracula, Wolf Man and The Invisible Man, Lil’ Creeps is surprisingly well written and sometimes very sophisticated.